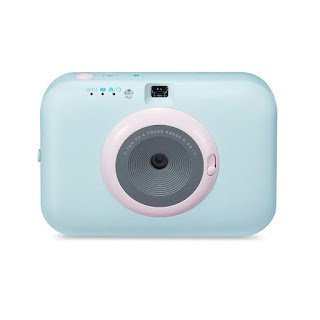 BUNDLE INCLUDES: LG Instant Camera and Photo Printer (Blue) with Photo Paper and Carrying Case. Instant Mobile Printing - Print your photos via Bluetooth with your iPhone or Android smartphone. LG Pocket Photo Snap can quickly print your photos wirelessly. Rich colors and sharp details - Your portable photo studio is here. Take photos wherever you are and print them in high quality. Customized Editing - Express your creativity with LG Pocket Photo App. This versatile app lets you edit specially, print instantly and share special pictures with your friends. Print and share magical moments in an instant. 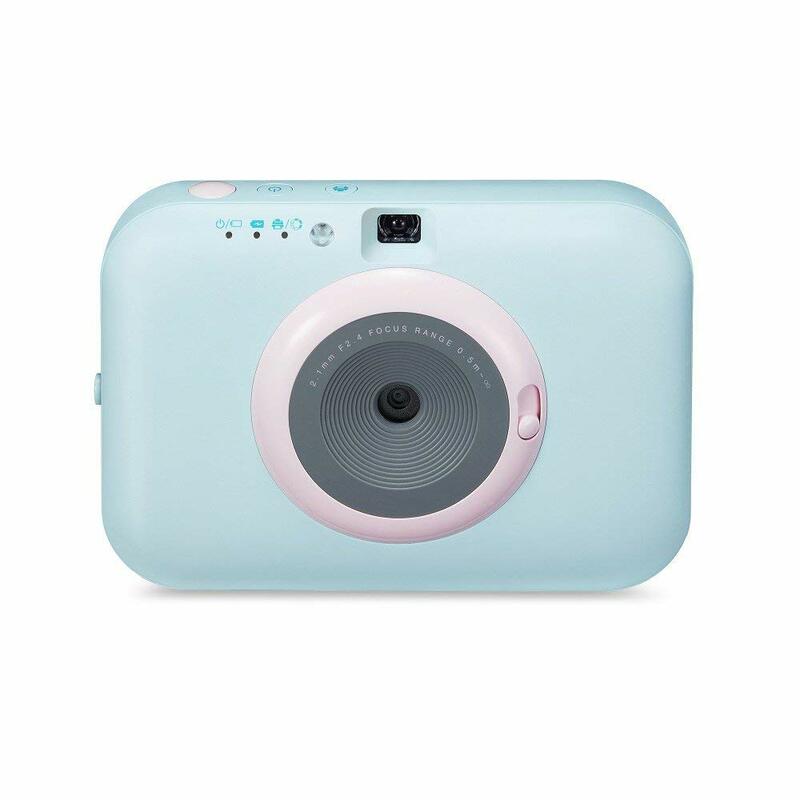 A perfect camera companion, the LG Pocket Photo Snap has a 5MP camera, built-in printer, a range of editing tools for super snaps - all in a eye-catching mint-blue design. Capture your moments and treasure your memories forever with the LG Pocket Photo Snap.Instant Print See it. Snap it. Print it. A built-in printer supports immediate high quality 2.5x3.7 inch print outs in only 45 seconds! The innovative LG Pocket Photo Snap is also print compatible with any Android or iOS device. Simply connect via Bluetooth, select the snap, edit your images to perfection in the Pocket Photo application and print 5MP Camera Pixel perfection. Each individual image taken encapsulates an incredible five million pixels worth of detail. Capture all the colors of the rainbow and get sensational snaps at all timesLong lasting against moisture. Cherish your memories with smudge-proof and long-lasting images. Larger, convenient photo paper. Print your meaningful moments on a larger paper size. Go ahead and stick your photos wherever you want. Zoom in and out, go black and white, flash on or off. Easy-to-operate controls allow you to frame your picture just right, always capturing your good side.Rinse and Reprint.Need to share your photos with friends? Print out same photos repeatedly and share your best moments by simply pressing a single button.